A unique nation in her own right, Malaysia is truly blessed by Mother Nature with a diverse and beautiful natural scenery in her possession. Malaysia offers visitor a wide variety of beaches, mountain, parks and unique slices of Malaysia tropical paradise. The climate is equable with no extremes. Amenities for good living abound – clean beaches offer swimming, clear water for skin diving and wonderful fishing, the hill country clean, cool air and there are championship golf courses. Moreover, this diversity spills well into her population mix, creating a little Asia within Malaysia. Malaysia population mainly Malays, Chinese, Indians, Kadazan, Dayaks, Iban, and numerous other minority groups has spawned a great many cultural and religious festivals earning Malaysia the title of “the land of festivals” and “the gourmands’s delights”. It doesn’t stop there, this land of smiles and courtesy invites you to travel and discover this nation of many faces and races. While Thailand seems synonymous with glimmering temples, and Singapore is remembered as a bustling modern city with excellent shopping, Malaysia has a little bit of the best of what South East Asian countries have to offer. When you ask the regular visitors about name Malaysia conjures up in their minds and they will inevitably tell you the same thing – legendary islands, fascinating culture and traditions, treasures, pleasures, mystical, enchanting, crisp mountain air and frendly people. They will all be absolutely right. Malaysia is a fantastic and fascinating country. 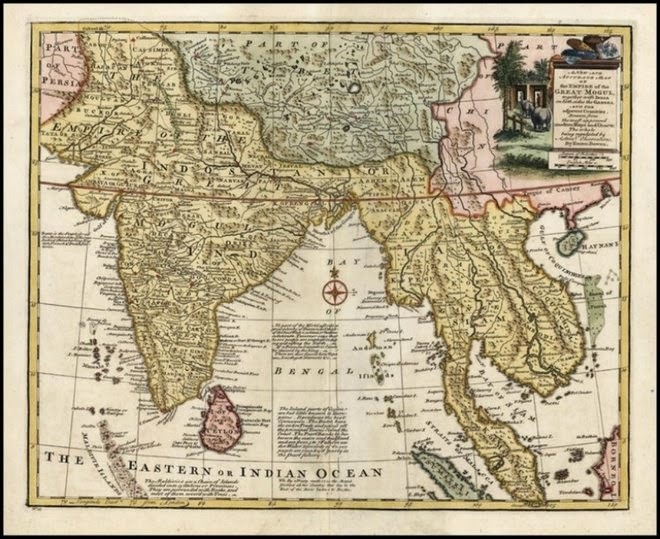 Ptolemy showed the Malay Peninsula on his early map with a label that translates as "Golden Chersonese", the Straits of Malacca were referred to as "Sinus Sabaricus". From the mid to the late first millennium, much of the Peninsula as well as the Malay Archipelago were under the influence of Srivijaya.There were numerous Chinese and Indian kingdoms in the 2nd and 3rd centuries CE—as many as 30 according to Chinese sources. Kedah—known as Kedaram, Cheh-Cha (according to I-Ching) or Kataha, in ancient Pallava or Sanskrit—was in the direct route of invasions of Indian traders and kings. Rajendra Chola, Tamil Emperor who is now thought to have laid Kota Gelanggi to waste, put Kedah to heel in 1025 but his successor, Vira Rajendra Chola, had to put down a Kedah rebellion to overthrow the invaders. The coming of the Chola reduced the majesty of Srivijaya, which had exerted influence over Kedah and Pattani and even as far as Ligor. The Buddhist kingdom of Ligor took control of Kedah shortly after, and its King Chandrabhanu used it as a base to attack Sri Lanka in the 11th century, an event noted in a stone inscription in Nagapattinum in Tamil Nadu and in the Sri Lankan chronicles, Mahavamsa. 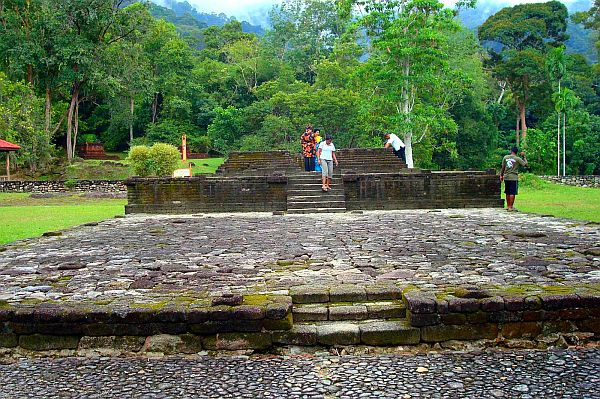 During the first millennium, the people of the Malay Peninsula adopted Hinduism and Buddhism and the use of the Sanskrit language until they eventually converted to Islam. There are reports of other areas older than Kedah—the ancient kingdom of Gangga Negara, around Beruas in Perak, for instance, pushes Malaysian history even further into antiquity. If that is not enough, a Tamil poem, Pattinapillai, of the second century CE, describes goods from Kadaram heaped in the broad streets of the Chola capital. A 7th century Sanskrit drama, Kaumudhimahotsva, refers to Kedah as Kataha-nagari. The Agnipurana also mentions a territory known as Anda-Kataha with one of its boundaries delineated by a peak, which scholars believe is Gunung Jerai. Stories from the Katasaritasagaram describe the elegance of life in Kataha. 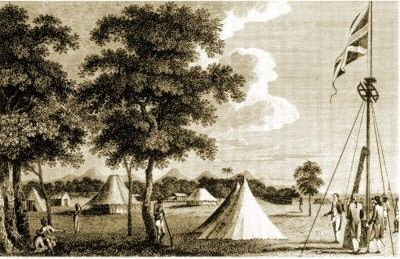 Britain established its first colony in the Malay Peninsula in 1786, with the lease of the island of Penang to the British East India Company by the Sultan of Kedah. In 1824, the British took control of Malacca following the Anglo-Dutch Treaty of 1824 which divided the Malay archipelago between Britain and the Netherlands, with Malaya in the British zone. In 1826, Britain established the crown colony of the Straits Settlements, uniting its four possessions in Malaya: Penang, Malacca, Singapore and the island of Labuan. The Straits Settlements were initially administered under the East India Company in Calcutta, before first Penang, and later Singapore became the administrative centre of the crown colony, until 1867, when they were transferred to the Colonial Office in London. During the late-19th century, many Malay states decided to obtain British help in settling their internal conflicts. The commercial importance of tin mining in the Malay states to merchants in the Straits Settlements led to British government intervention in the tin-producing states in the Malay Peninsula. 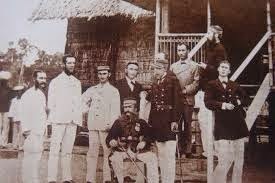 British gunboat diplomacy was employed to bring about a peaceful resolution to civil disturbances caused by Chinese and Malay gangsters, and the Pangkor Treaty of 1874 paved the way for the expansion of British influence in Malaya. By the turn of the 20th century, the states of Pahang, Selangor, Perak, and Negeri Sembilan, known together as the Federated Malay States (not to be confused with the Federation of Malaya), were under the de facto control of British Residents appointed to advise the Malay rulers. The British were "advisers" in name, but in reality, they exercised substantial influence over the Malay rulers. On the island of Borneo, Sabah was governed as the crown colony of British North Borneo, while Sarawak was acquired from Brunei as the personal kingdom of the Brooke family, who ruled as white Rajahs. 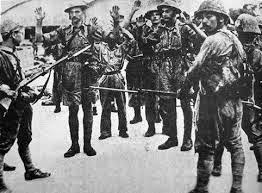 Following the Japanese Invasion of Malaya and its subsequent occupation during World War II, popular support for independence grew. 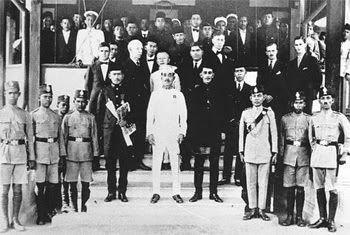 Post-war British plans to unite the administration of Malaya under a single crown colony called the Malayan Union foundered on strong opposition from the Malays, who opposed the emasculation of the Malay rulers and the granting of citizenship to the ethnic Chinese. The Malayan Union, established in 1946 and consisting of all the British possessions in Malaya with the exception of Singapore, was dissolved in 1948 and replaced by the Federation of Malaya, which restored the autonomy of the rulers of the Malay states under British protection. During this time, rebels under the leadership of the Malayan Communist Party launched guerrilla operations designed to force the British out of Malaya. The Malayan Emergency, as it was known, lasted from 1948 to 1960, and involved a long anti-insurgency campaign by Commonwealth troops in Malaya. Although the insurgency quickly stopped there was still a presence of Commonwealth troops, with the backdrop of the Cold War. Against this backdrop, independence for the Federation within the Commonwealth was granted on 31 August 1957. Malaysia lies close to the equator, between latitudes 1° and 7° north and longitudes 100° and 120° east. Situated in Southeast Asia, Malaysia, with an area of 329,750 sq km (127,317 sq mi), consists of two noncontiguous areas: Peninsular Malaysia (formerly West Malaysia), on the Asian mainland, and the states of Sarawak and Sabah, known together as East Malaysia, on the island of Borneo. Comparatively, the area occupied by Malaysia is slightly larger than the state of New Mexico. Peninsular Malaysia, protruding southward from the mainland of Asia, comprises an area of 131,587 sq km (50,806 sq mi), extending 748 km (465 mi) SSE-NNW and 322 km (200 mi) ENE-WSW . It is bordered on the N by Thailand, on the E by the South China Sea, on the S by the Strait of Johore, and on the W by the Strait of Malacca and the Andaman Sea, with a total boundary length of 2,068 km (1,285 mi). Sarawak, covering an area of 124,449 sq km (48,050 sq mi), on the northwest coast of Borneo, extends 679 km (422 mi) NNE-SSW and 254 km (158 mi) ESE-WNW . It is bounded by Brunei on the N , Sabah on the NE , Indonesia on the E and S, and the South China Sea on the W . Sarawak's total boundary length is 2,621 km (1,629 mi). Situated at the northern end of Borneo, Sabah has an area of 74,398 sq km (28,725 sq mi), with a length of 412 km (256 mi) E-W and a width of 328 km (204 mi) N – S . To the N is the Balabac Strait, to the NE the Sulu Sea, to the SE the Celebes Sea, to the S Indonesia, to the SW Sarawak, and to the W the South China Sea, with a total boundary length of 2,008 km (1,248 mi). The total boundary length of Malaysia is 7,344 km (4,563 mi), of which 4,675 km (2,905 mi) is coastline. Malaysia is the 43rd most populated country and the 66th largest country by total land area in the world, with a population of about 27 million and a land area of over 320,000 km2 respectively. It is comparable in population to Saudi Arabia and Venezuela, and is roughly similar in size to Norway and Vietnam, along with the U.S. state of New Mexico. 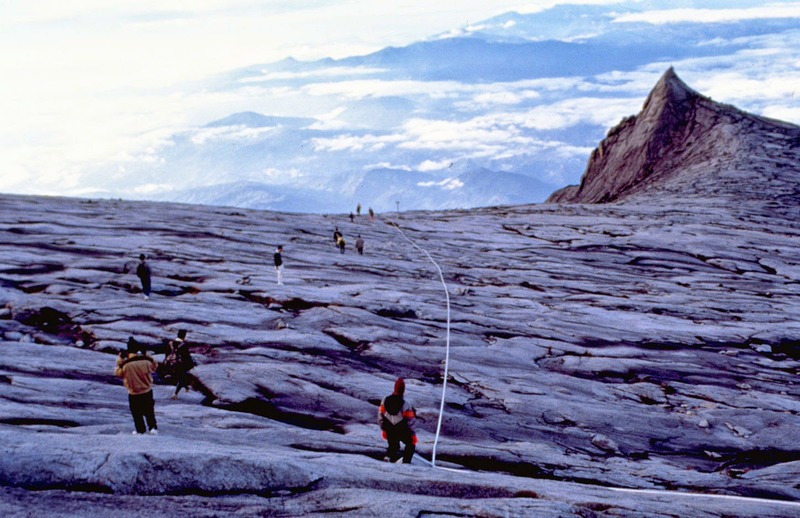 The two distinct parts of Malaysia, separated from each other by the South China Sea, share a largely similar landscape in that both West and East Malaysia feature coastal plains rising to often densely forested hills and mountains, the highest of which is Mount Kinabalu at 4,095.2 metres (13,436 ft) on the island of Borneo. The local climate is equatorial and characterised by the annual southwest (April to October) and northeast (October to February) monsoons.Tanjung Piai, located in the southern state of Johor, is the southernmost tip of continental Asia The Strait of Malacca, lying between Sumatra and Peninsular Malaysia, is arguably the most important shipping lane in the world. Kuala Lumpur is the official capital and largest city of Malaysia. 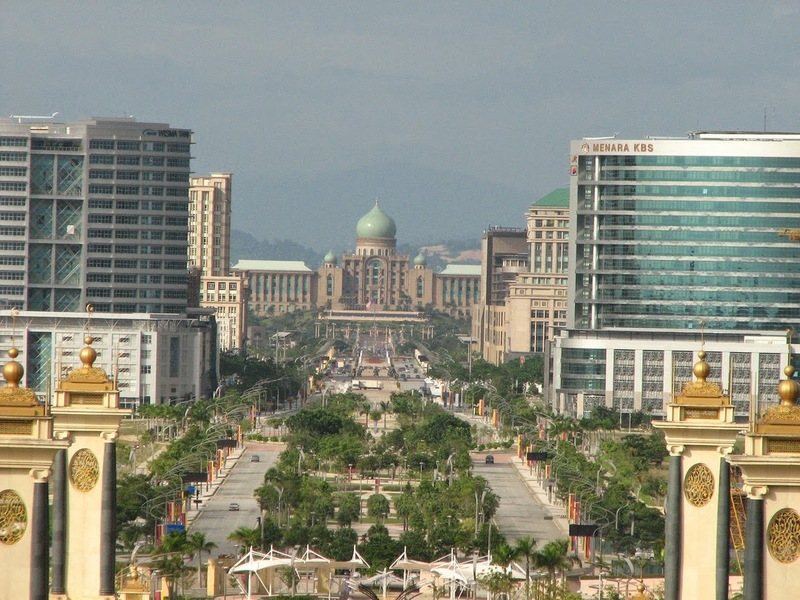 Putrajaya on the other hand, is considered the administrative capital for the federal government of Malaysia. Although many executive and judicial branches of the federal government have moved there (to ease growing congestion within Kuala Lumpur), Kuala Lumpur is still recognised as the legislative capital of Malaysia since it houses the seat of the Parliament of Malaysia. It is also the main commercial and financial centre of the country.Other major cities include George Town, Ipoh, Johor Bahru, Kuching, Kota Kinabalu, Miri, Alor Star, Malacca Town, Kuala Terengganu, Kota Bharu, Kuantan and Petaling Jaya. Malaysia claims several atolls of the Spratly Island group in the South China Sea. The claim, in a region where oil is suspected, is disputed by China, the Philippines, Taiwan, and Vietnam. Malaysia's capital city, Kuala Lumpur, is located in the western part of Peninsular Malaysia. Malaysia has a tropical, humid climate with temperatures averaging 86°F (30°C), though it is cooler in the highland areas. The major change in seasons is marked by the arrival of the monsoons that bring heavy downpours on the east coast of Peninsula Malaysia, the northeastern part of Sabah and the western end of Sarawak (from November to February). Boat trips to the islands do not run during the height of the monsoon. The best time to visit Malaysia is between April and October. The nine Malay States have a hereditary Ruler as titular Head of state and an executive Chief Minister or Menteri Besar as politically responsible Head of government. The rulers of Johor, Kedah, Kelantan, Pahang, Perak, Selangor and Terengganu are styled Sultans (typically Islamic). 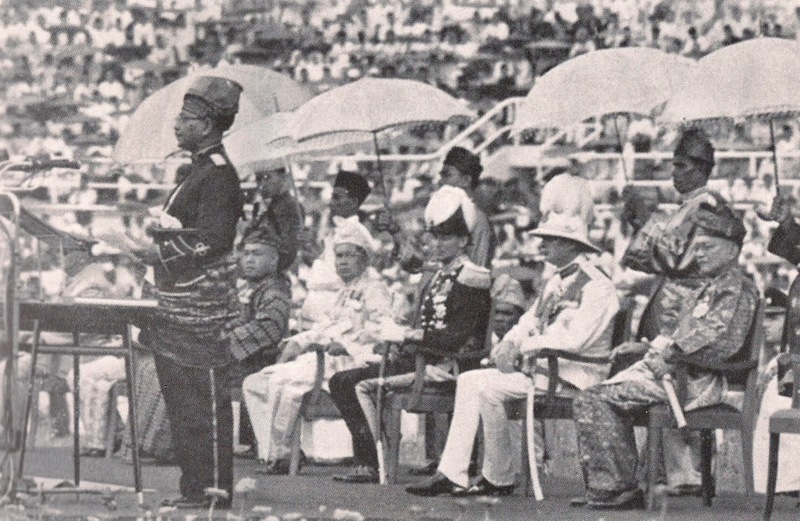 Only Negeri Sembilan's elective ruler holds the rare, autochthonous Malay title of Yang di-Pertuan Besar, whereas only the Ruler of Perlis is titled Raja. The Federal King (titled Yang di-Pertuan Agong) is elected (de facto rotated) among the nine rulers to serve a 5-year term. Former British settlements and crown colonies of Penang and Malacca (both peninsular) and Sabah and Sarawak (both on Borneo) each have a federally appointed titular Governor (styled Yang di-Pertua Negeri) and an executive Chief Minister or Ketua Menteri. Each state has a unicameral legislature called Dewan Undangan Negeri (DUN, State Assembly). Members of DUN are elected from single-member constituencies drawn based on the population. The state leader of the majority party in DUN is usually appointed Chief Minister by the Ruler or Governor. 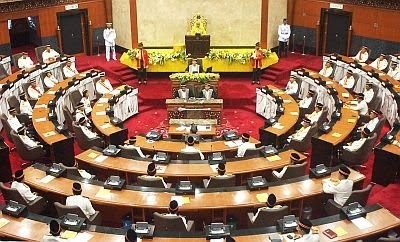 The term of DUN members is five years unless the assembly is dissolved earlier by the Ruler or Governor on the advise of the Chief Minister. Usually, DUN of the states in Peninsular Malaysia are dissolved in conjunction with the dissolution of the federal parliament, in order to have state elections running concurrently with the parliamentary election. However, Rulers and Governors hold discretionary powers in dissolving the DUN. Each state sends two representatives to the Dewan Negara (Senate), the upper house of the federal parliament. As Malaysia is a federation, the governance of the country is divided between the federal and the state governments. The specific responsibilities of the federal and the state governments are listed in the Ninth Schedule of the Constitution of Malaysia. Theoretically, any matter not set out in the Ninth Schedule can be legislated on by the individual states. However, legal scholars generally view this as a "pauper's bequest" because of the large scope of the matters listed in the Ninth Schedule. The courts themselves have generally favoured a broad interpretation of the language of the Ninth Schedule, thus limiting the number of possible subjects not covered. The Ninth Schedule specifically lists the following matters as those that can only be legislated on by the states: land tenure, the Islamic religion, and local government. Sabah and Sarawak have additional powers as part of the terms when they joined Malaysia, such as immigration controls. The Parliament of Malaysia is permitted to legislate on issues of land, Islamic religion and local government in order to provide for a uniform law between different states, or on the request of the state assembly concerned. The law in question must also be passed by the state assembly as well, except in the case of certain land law-related subjects. Non-Islamic issues that fall under the purview of the state may also be legislated on at the federal level for the purpose of conforming with Malaysian treaty obligations. Malaysia is a growing and relatively open economy. In 2007, the economy of Malaysia was the 29th largest economy in the world by purchasing power parity with gross domestic product for 2007 was estimated to be $357.9 billion with a growth rate of 5% to 7% since 2007 The Southeast Asian nation experienced an economic boom and underwent rapid development during the late 20th century and has a GDP per capita of $14,400, being considered a newly industrialized country. On the income distribution, there are 5.8 million households in 2007. Of that, 8.6% have an monthly income below RM1,000, 29.4% had between RM1,000 and RM2,000, while 19.8% earned between RM2,001 and RM3,000; 12.9% of the households earned between RM3,001 and RM4,000 and 8.6% between RM4,001 and RM5,000. Finally, around 15.8% of the households have an income of between RM5,001 and RM10,000 and 4.9% have an income of RM10,000 and above. As one of three countries that control the Strait of Malacca, international trade plays a large role in its economy.At one time, it was the largest producer of tin, rubber and palm oil in the world.Manufacturing has a large influence in the country's economy. Since it became independent, Malaysia's economic record has been one of Asia's best. Real gross domestic product (GDP) grew by an average of 6.5% per year from 1957 to 2005. Performance peaked in the early 1980s through the mid-1990s, as the economy experienced sustained rapid growth averaging almost 8% annually. High levels of foreign and domestic investment played a significant role as the economy diversified and modernized. Once heavily dependent on primary products such as rubber and tin, Malaysia today is a middle-income country with a multi-sector economy based on services and manufacturing. Malaysia is one of the world's largest exporters of semiconductor devices, electrical goods, and information and communication technology (ICT) products. The government continues to actively manage the economy. Malaysia's New Economic Policy (NEP), first established in 1971, was a 10-year plan that sought to rectify a situation whereby ethnic Malays and indigenous peoples (“bumiputera”), who comprised nearly 60% of the population, held less than 3% of the nation’s wealth. Policy makers implemented a complex network of racial preferences intended to promote the acquisition of economic assets by bumiputera. In 1981 when the racial preferences were set to expire, the government extended the NEP for another 10 years, stating that its goals had not been achieved. The policies again were extended in 1991 and in 2001. The Malaysian economy went into sharp recession in 1997-1998 during the Asian financial crisis, which affected countries throughout the region, including South Korea, Indonesia, and Thailand. Malaysia's GDP contracted by more than 7% in 1998. Malaysia narrowly avoided a return to recession in 2001 when its economy was negatively impacted by the bursting of the dot-com bubble (which hurt the ICT sector) and slow growth or recession in many of its important export markets.In July 2005, the government removed the 7-year old peg linking the ringgit's value to the U.S. dollar at an exchange rate of RM 3.8/U.S. $1.0. The dollar peg was replaced by a managed float against an undisclosed basket of currencies. The new exchange rate policy was designed to keep the ringgit more broadly stable and to avoid uncertain currency swings which could harm exports. 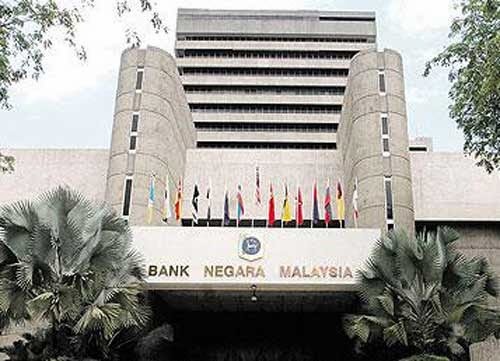 The Malaysian financial system has exhibited noteworthy resilience to the 2008 global financial crisis. Malaysian banks are well capitalized and have no measurable exposure to the U.S. sub-prime market. The central bank maintains high levels of foreign exchange reserves and a conservative regulatory environment, having prohibited some of the riskier assets in vogue elsewhere. However, decreasing demand in the U.S. and elsewhere is taking a toll on Malaysian exports, resulting in slower economic growth going forward. 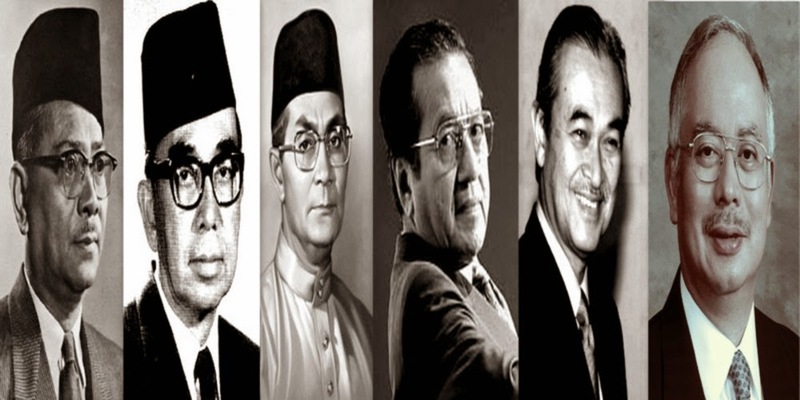 Malaysia is a multi-party system since the first direct election of the Federal Legislative Council of Malaya in 1955 on a first-past-the-post basis. The ruling party since then has always been the Alliance Party coalition and subsequently from 1973 onwards, its successor the National Front coalition. The National Front currently consists of the United Malays National Organisation (UMNO), Malaysian Chinese Association (MCA), Malaysian Indian Congress (MIC) and 11 other political parties. Malaysia is a federal constitutional elective monarchy. The federal head of state of Malaysia is the Yang di-Pertuan Agong, commonly referred to as he King of Malaysia. 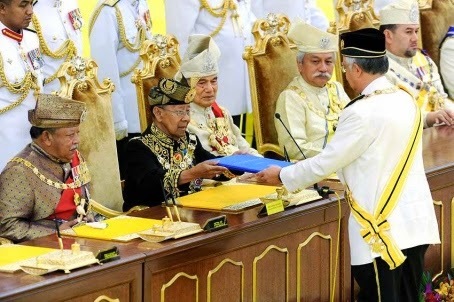 The Yang di-Pertuan Agong is elected to a five-year term among the nine hereditary Sultans of the Malay states; the other four states, which have titular Governors, do not participate in the selection. The system of government in Malaysia is closely modeled on that of Westminster parliamentary system, a legacy of British colonial rule. In practice however, more power is vested in the executive branch of government than in the legislative, and the judiciary has been weakened by sustained attacks by the government during the Mahathir era. Since independence in 1957, Malaysia has been governed by a multi-party coalition known as the Barisan Nasional (formerly known as the Alliance).Legislative power is divided between federal and state legislatures. The bicameral parliament consists of the lower house, the House of Representatives or Dewan Rakyat (literally the "Chamber of the People") and the upper house, the Senate or Dewan Negara (literally the "Chamber of the Nation"). The 222-member House of Representatives are elected from single-member constituencies that are drawn based on population for a maximum term of five years. 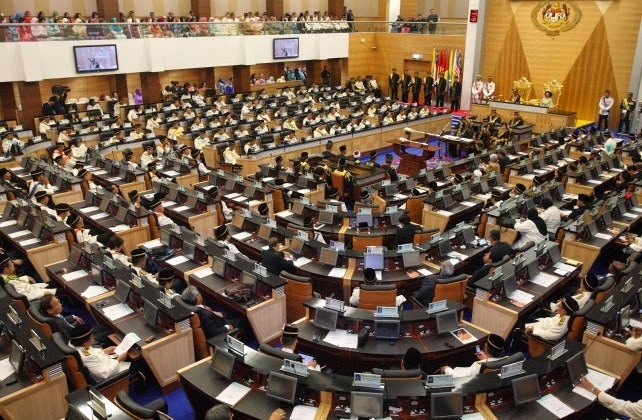 All 70 Senators sit for three-year terms; 26 are elected by the 13 state assemblies, two representing the federal territory of Kuala Lumpur, one each from federal territories of Labuan and Putrajaya, and 40 are appointed by the king. 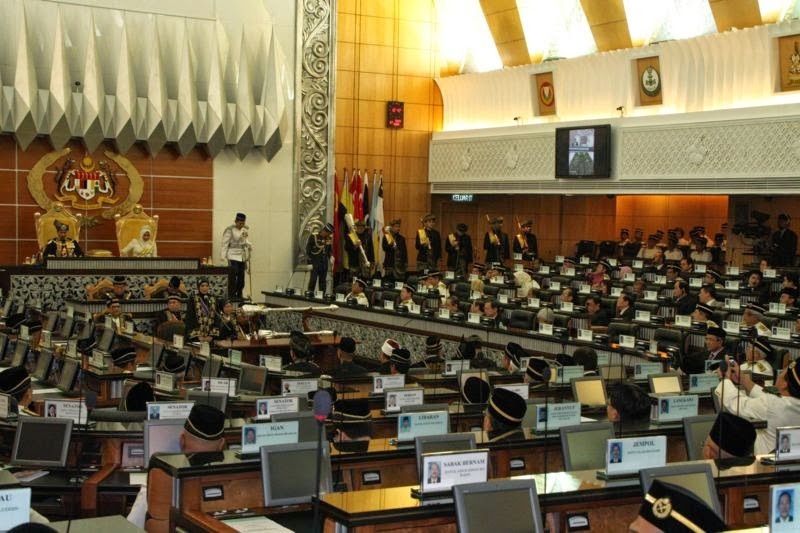 Besides the Parliament at the federal level, each state has a unicameral state legislative chamber (Malay: Dewan Undangan Negeri) whose members are elected from single-member constituencies. Parliamentary elections are held at least once every five years, with the last general election being in March 2008. Registered voters of age 21 and above may vote for the members of the House of Representatives and in most of the states, the state legislative chamber as well. Voting is not compulsory. Kuala Lumpur, the capital city of Malaysian, is the heartbeat of the nation. Malaysia's multi-racial society contains many ethnic groups. Malays comprise a majority of just over 50%. By constitutional definition, all Malays are Muslim. About a quarter of the population is ethnic Chinese, a group which historically played an important role in trade and business. Malaysians of Indian descent comprise about 7% of the population and include Hindus, Muslims, Buddhists, and Christians. Non-Malay indigenous groups combine to make up approximately 11% of the population. Population density is highest in peninsular Malaysia, home to some 20 million of the country's 27 million inhabitants. 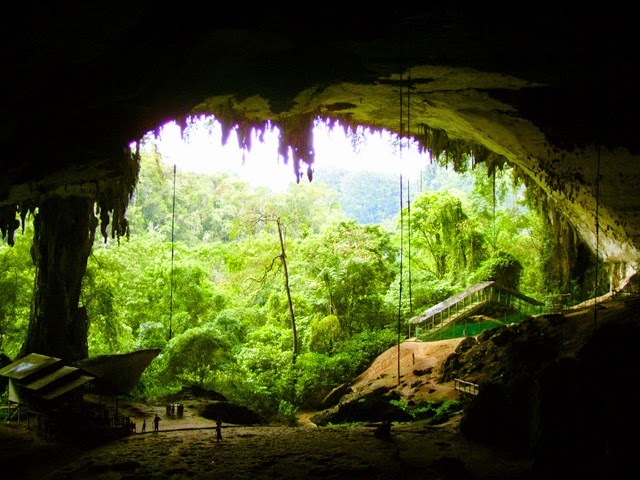 The remaining 7 million live on the Malaysian portion of the island of Borneo in the large but less densely-populated states of Sabah and Sarawak. More than half of Sarawak's residents and about two-thirds of Sabah's are from indigenous groups. Driving is an interesting mode of seeing the country. An overland journey to Malaysia Thailand and Singapore be made easily driving through the North-South Expressway on the West coast and East-West highway to the East Coast. Car rental services are easily available. Buses, taxis and coaches, both interstate and local ply between various destinations. 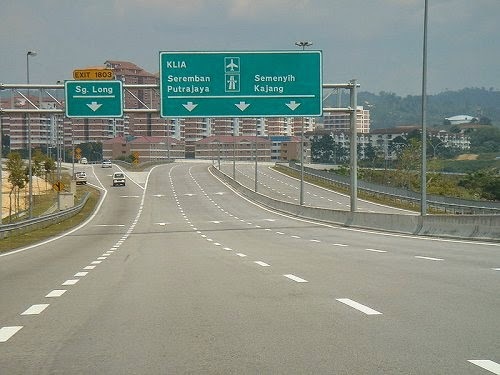 To drive on Malaysian road, you require a Malaysian Competent Driviong Licence, Probationary Driving Licence or an International driving Licence. To use a foreign licence, get it endorsed by the Road Transport Department. All vehicles move on the left-hand side of the road and that the use of safety belts by front pasengers is mandatory. Getting to Malaysia is easy with over 40 airlines, including Malaysia’s own carrier, Malaysia Airlines. All flights arrive and depart at the new state-of-the-art Kuala Lumpur International Airport (KLIA) located at Sepang, about 50 km or an hour's drive south of Kuala Lumpur, the country’s capital. 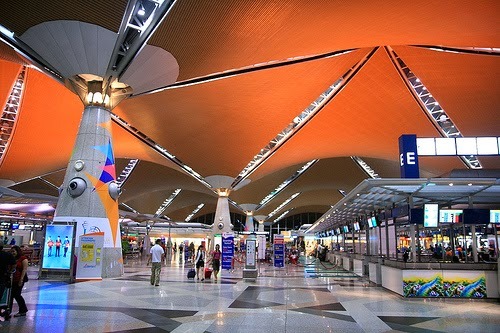 From KLIA, visitors can take connecting flights to most major cities and towns in Malaysia as well as to Sabah and Sarawak. The airport is well equipped with the latest facilities and services to cater passengers either arriving into the country or on a transit to other destinations. Meanwhile, the old international airport, the Sultan Abdul Aziz Shah Airport in Subang, about 45 minutes by road west of Kuala Lumpur, caters only domestic air services. The national carrier, Malaysia Airlines (MAS), currently flies to more than a hundred destinations worldwide. There is also a small but growing number of domestic airlines serving popular tourist destinations such as Kuala Lumpur, Kuala Terengganu, Pulau Tioman, Pulau Perhentian, Pulau Pangkor, Taman Negara, Kuantan, Ipoh, Penang, Malacca and Langkawi. These airlines are Air Asia, Transmile Air and Berjaya Air. Malaysia has six international airports are at Sepang in Selangor, Penang Island, Langkawi Island, Kota Kinabalu and Tawau in sabah, and Kuching in Sarawak.Malaysia is served by more than 35 airlines including Malaysia Airlines which services 94 international routes around the globe. 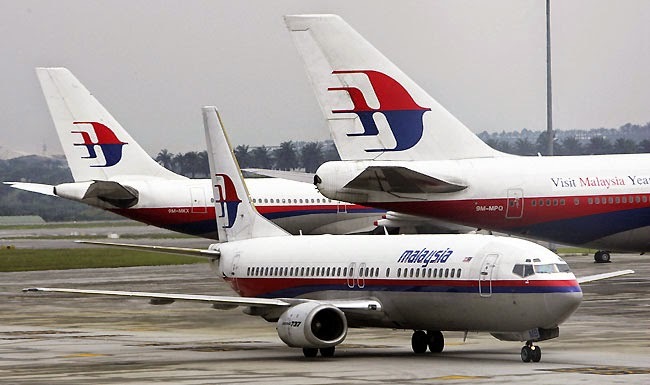 in addition to Malaysia Airlines (MAS), a number of other airlines including Pelangi Air, Berjaya air and Mofaz Air also provide regular domestic flights to the many tourists destinations and cities within the country. It is possible to travel by rail within and to Peninsular Malaysia via Thailand and from Singapore. 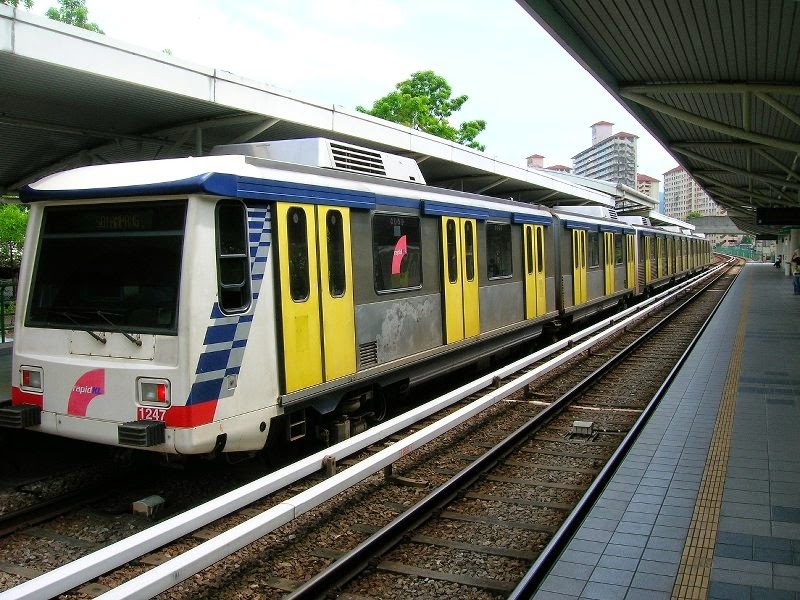 Malayan Railways or Keretapi Tanah Melayu Berhad (KTM) connects all major towns in the Peninsular. First, Second or Economy Class air-conditioned coaches are available. The northbound Ekspres Langkawi departs nightly from Kuala Lumpur to Arau in Kedah. Arriving in the morning, it then proceeds to Hatyai, Thailand before returning back to Arau in the evening.Senandung Malam is a KL-Butterworth-KL and KL-Singapore-KL sectional nightly service. Sleeping berths are provided in the first and second class coaches.All express services have a restaurant coach serving local and continental cuisine. Tickets may be purchased 60 days in advance from the date of travel. Children aged from four to twelve are charged half the adult fare whilst those below four travel free. Available to foreign tourists is the 30-day or 10-day Tourist Railpass which provides unlimited travel on KTM during that period. There are several ports of entry in Malaysia, namely Penang, Port Klang, Kuantan, Kuching and Kota Kinabalu. 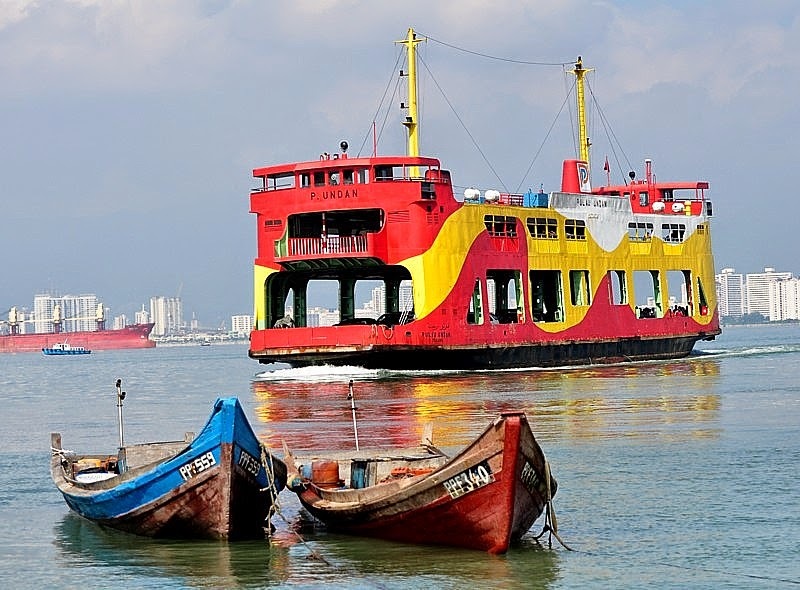 Coastal ferries sail frequently between Penang and Butterworth, carrying both passengers as well as vehicles from the mainland to the island. Apart from that, there are many ferry/ boat services available for mainland-to-island and island-to-island travel around the country. Fast boats and small river crafts are a popular way of getting about in Sabah and Sarawak especially to the more isolated settlements.There are also sea cruises and river-cruises run by local tour agents. 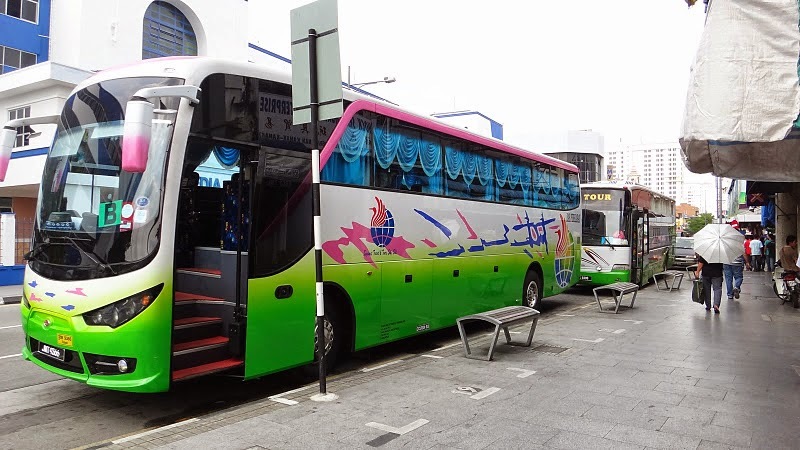 For sea travel within the country there are services available from Port Klang (Selangor) to Kuantan (Pahang) and to Sabah or Sarawak. Besides that, there are also holiday cruises that take passengers to neighbouring countries. 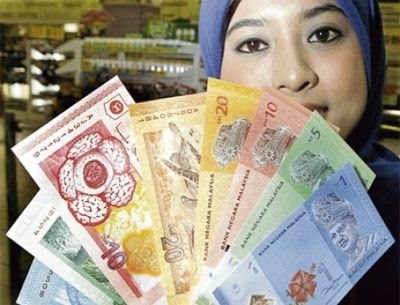 The currency used in the country is the Ringgit Malaysia (RM). RM 1 is made up of 100 cents.. Notes are denominations of RM1, RM2, RM5, RM10, RM20, RM50 and RM100. Coin denominations are 50, 20, 10, 5 and I cents. All Major credit cards are accepted. Licensed foreign money changers are available in all urban centres, key entry or exit points and shopping complexes. Traveller’s cheque can be exchanged for Malaysian Ringgit at commercial banks, hotels and authorised money changers. All major hotels are only licensed to buy, but not sell, foreign currencies in the form of notes and traveller’s cheque. 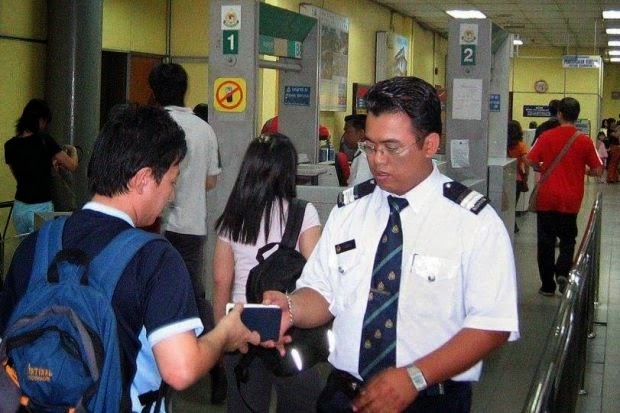 Visitors must be in possession of national passports or other internationally recognized travel documents, endorsed for travelling in Malaysia and with a period of validity of at least six months beyond the time of stay allowed in Malaysia. No visas are required for citizens of Commonwealth countries (except Bangladesh, India, Pakistan and Sri Lanka), British Protected Persons or citizens of the Republic of Ireland and citizens of Switzerland, Netherlands, San Marino and Liechtenstein. Citizens of Albania, Austria, Algeria, Bahrain, Belgium, Czech Republic, Republic of Slovakia, Denmark, egypt, Finland, Germany, Hungary, Iceland, Italy, Japan, Jordan, Kuwait, Luxembourg, Lebanon, Morocco, Norway, North Yemen, Oman, Qatar, South Korea, Sweden, Saudi Arabia, Turkey, Tunisia, United States of America and United Arab Emirates are eligible for three months visa free visit. c. One Month Vis Free Visit Applicable to citizens of ASEAN countries. Citizens of Afghanistan, Iran, Iraq, Syria and South Yemen are eligible for 14-days visa free visit. As regulations may change from time to time, it is advisable to check with the nearest Malaysian Embassy before your departure. Some goods such as the following, imported by visitors are liable to duty: carpets, garments, clothing accessories, jewellery, chocolates, handbags, spirits, alcoholic beverages, tobacco and cigarettes. 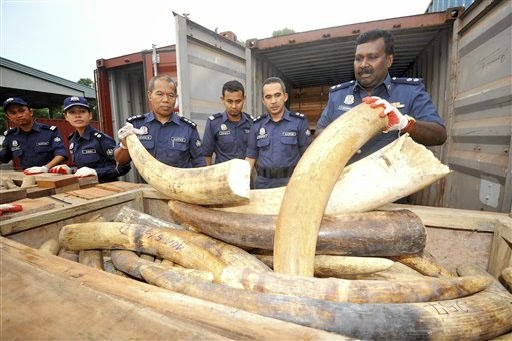 Visitors bringing in dutiable goods may have to pay a deposit for temporary importation, refunable on departure. The goods are to be presented at the time of departure at the point of exit together with the deposite receipts. Non-dutiable goods include cameras, watches, pens, lighters, perfumeries and cosmetics. Yellow Fever vaccination is required for all visitors coming from yellow fever infected areas or endemic zones except for children under 1 year of age. Beginning from February 2000, the government has given all emplyess of the public sector an off day on the first and third Saturday of each month. The country is run a normal eight hours a day system with Saturday as half day and Sunday a day of rest. In the states of Kelantan, Terengganu and Kedah, Friday is a day of rest with Thursday as half days. Medical services are available in most towns in the form of government-run hospitals and private clinics. Non-prescription drugs are available at the pharmacies as well as supermarkets, hotels and shopping centres. Private clinics can be found in the shopping malls, shop houses, business complexes, nearby residential areas and others. Malaysia is served with the latest telecommunication services worldwide. Public phones are abundant, especially at strategic or crowded places in the cities, towns and rural areas. The telephones are operated by coins, cardphone or both . International calls can be made from phone booth with card phone facilities or at any Telecoms offices. In places such as airport, the office of the Immigration Department, International Direct dial (IDD) public phones are also provided. Most hotels are equipped with IDD service with a minimal service charge. Post offices are opened daily from 8am to 5 pm and closed on Sunday and public holidays (for Kedah, Kelantan and Terengganu, closed on Friday and public holidays). The General post Office in Kuala Lumpur is opened from 8 am to 6 pm daily and from 10 am to 12:45 pm on Sundays. Other than the ordinary delivery services, there is courier service called the Expedited Mail Service called theExpedited Mail Service (EMS) or locally known as Poslaju. Most international hotels is provide postal services at the front desks. The metric system is used with metres, kilograms, litres as the standard while milestones are marked by both kilometres and miles. Bahasa Melayu is the national language but english is widely spoken. Bahasa Melayu and is compulsory in official correspondence particularly in the government sector. While, numerous varieties of Chinese and Indian dialects are spoken too besides the countries indigenous language. Islam is the official religion but Buddhism, Hinduism, Christianity and other religions are practised freely. Visitors will find mosques, churches, and temples sited next to each other. Most of the religious festivals are gazetted public holidays and celebrated nationwide regardless of race. 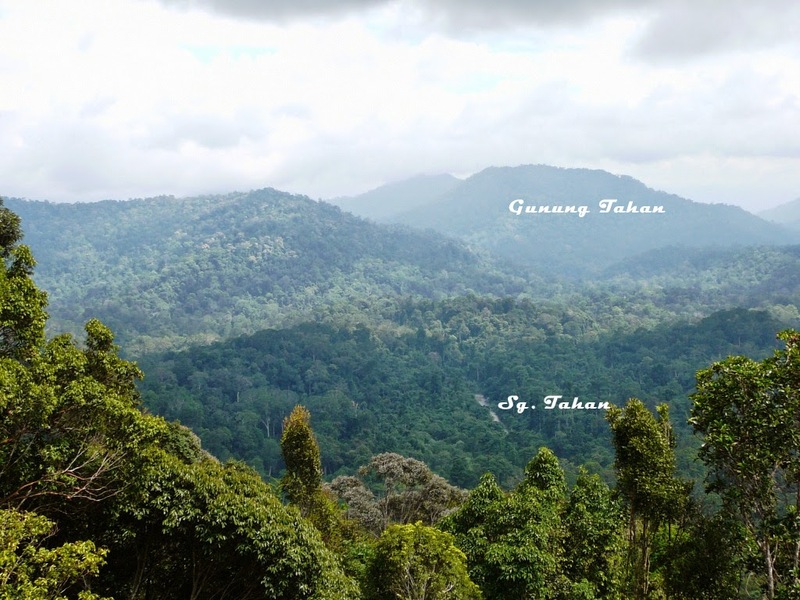 The natural vegetation is rich tropical rain forest, covering about 50% of Malaysia land area and is found most luxuriant form, on the lowlands and hills, especially in Pahang, located in central Malaysia, where it is believed to be older than the jungles of the Amazon. Malaysia has very rich and diverse wildlife with hundreds of species of mammals, reptiles, birds, amphibians and countless insects, including more than 1000 species of butterflies. The best known of the reptiles are the marine giant leatherback turtles which come to nest on the east coast. The elephant, the tiger, and the leopard still roam the jungles. Finding suitable accommodation is unlikely to be a problem. Malaysia has a wide range of accommodation at competitive rates. The international standard hotels, medium and budget hotels, youth hostels, chalets, inns and timeshare apartments are just some of the type of accommodation available. A room in an international-standard hotel costs from Rm250 and above, whilst the medium and budget category of accommodation are obtainable from any of the Tourism Malaysia’s offices the world. Most hotels have participated in the star-valued (from 5-star to 1-star) categorisation scheme by the Ministry of Culture, Ars and Tourism. Eating out in Malaysia is a real gastronomic adventure. There is such a great variety – spicy Malay food, a seemingly endless variety of Chinese food, exotic cuisine from North and South India, as well as Nyonya and Portuguese food. Popular Malaysia dishes include satay, nasi lemak, rendang, roti canai, murtabak, laksa, chicken rice and fried noodles. Western cruisine is easily available. In addition, international fast fast-food chains operate in the major towns side by side with thousands of roadside stalls and food bazaars. Shopping in Malaysia is a voyage of never ending discovery – a hunt for the rare treasure of the orient, a branded designer good or an intricate local handicraft. Malaysia presents the shopper the best the has to offer. The competitive ringgit exchange, the variety of product lines, quality goods as well as the choice of shopping venues have made Malaysia a shopper’s paradise. If you looking for something uniquely Malaysian, you couldn’t go wrong with pewter ware, songket and batik, to name a few. Malaysia’s tax haven are Pulau Langkawi and Labuan. Duty free are also found at Rantau Panjang and Pengkalan Kubur both in Kelantan, and Padang Besar and Bukit Kau Hitam in Kedah. An interesting mix duty free shops can also be found at city centres and airports in Kuala Lumpur, Johor Bahru and Penang. Exquisitely crafted pewter items include mugs, goblets, coffe sets, ash trays, vases, figurines, clock, letter-opener and plaques. Leading names are Royal Selangor and Tumasek. They can be found at Hotel shopping arcades and shopping complexes. Batik combines wax brushing, dyeing, drying and boiling the material which may be silk, cotton, rayon or satin. Batik items include hats, scarves, ties, handkerchiefs, purses, kraftan, shirts, wrap-around skirts, sun dresses, tablecloths, handbags, purses and paintings. The quality of batik varies greatly. Good quality batik are sold at large handicraft centres. songket is Malaysian brocade that is intricately handwoven with silver or gold threads. Rich and heavily-embroidered, the cloth makes superb evening gowns. Buy the material untailored and have it made to measure, or buy songket items such as handbags. 4. PotterySarawak pottery is ochre-coloured with bold geometric designs. Sayong pottery, from Perak, has the characteristic glossy black colour. There is even pottery, from Johor, which uses batik and gold thread for a distinctive look. Handicraft centres offer the best variety. Brassware items generally come from the cottage industries in Terengganu. Items include candle stands, vases, ash tray and plaques. Best bought at handicraft centres. Silverwork especially those from Kelantan, is exquisite. Items to buy are rose bowls,napkin holders, plaques and filigree jewellery. Handicraft centres are again the best choices to buy silverwork. 9. WoodcarvingsWoodcarvings, again, those from Kelantan or Terengganu, are of excellent workmanship. Wood figurines of the orang asli (aborigines) also make good buys. As these are bulky items, you can make arrangement with the stores to have them sent home. Shopping complexes stock a good range of such products. Mengkuang leaves (screw pine) woven into table mats, hats, bags and bedroom slippers make attractive and functional items. They are also inexpensive. Mengkuang products can be found at handicraft centres. Check out the supermarket, grocery stores or pasar malam for locally-produced items such as tea, pepper, prawn crackers and instant food preparations. When the sun goes down, the city nightspots pulsate to the pulsated to the rhythm of the nightlife. There’s always something to do on cities, with their profusion of karaoke lounges, pubs, cinemas, theatres, nightclubs, cabarets, bowling alleys and snooker centres. This is complemented by pasar malam, the local night street market. The government-owned Radio Television Malaysia (RTM) operates TV and radio channels covering the whole nation in various languages .. In addition, there are other regional radio channels catering to listeners in specific regions as well as Sabah and sarawak. There are also a number of private broadcasting operators such as TV3 and ASTRO yang menawarkan channel lebih kurang 35 saluran (news, movies, musical, sport, cartoon, education channel, adventure channel, Chinese, Arabs etc) and at least 20 radio channels in Malay, English, Chineseand Indians languages. Newspapers and magazines come in all all languages according to the racial composition of the country. English, Malay, chinese, Tamil, Arabs and others are readily available . Foreign newspapers and magazines can be obtained from most bookstores and around the major centres in this country. Sports and sporting events command a very large following among Malaysian of all ages. Soccer enjoys a tremendous popularity. Also popular are badminton, sepak takraw, tennis, golf, squash and motor racing. Sea sports such as wind-surfing and sailing are gaining popularity and traditional Malaysian pastimes such as sepak takraw, giant top spinning and kite flying are also pursued. Most hotels have their own well-equipped health clubs as well as swimming pools. Malaysias celebrate many festivals throughout the year. During this celebrations, visitors to Malaysian home are offered festive cakes and delicacies. Hari Raya Aidil Fitri is celebrated by Muslim after month-long Ramadan (Fasting month). For Muslims, Hari Raya Aidil Fitri or Hari Raya Puasa marks the end of Ramadhan, a month of fasting from sunrise to sunset , and the first of syawal, the tenth month Muslim calendar. usher in the festival with prayers in the mosques followed by receiving well-wishers in their home by visits to the graves of the departed. Many tourists will be invited to sample the warm Malaysian hospitality during this occasion. Awal Muharram (or Maal Hijrah) is the beginning of the Islamic New Year. This day coincides with the Prophet Muhammad’s journey from Mecca to Medina in 622AD on the first of Muharram. Prophet Muhammad’s was born on 12 Rabiulawal, the third month of the Muslim calender in 570AD. His Birthday is celebrated with religious lectures and recital of verses from the Koran. Chinese New Year is a joyous time when friends and relatives give each other angpows – red packets with a gift of cash as a token of prosperity and celebrate with feast and lion dances to ward off evil spirits and usher in the lunar new year. Family reunion dinners are a must among Chinese on the eve of the new year. A Hindu festival full of colour pageantry and throbbing excitement reminiscent of the Mardi Gras. It is an occasion for Hindu devotees to pay homage by piercing their bodies with sharp objects and carrying of ‘kavadis’ to Hindu temples. A Kavadi is either a metal or wooden arch with elaborate decorations, which is placed on devotee’s shoulder. Vasakhi, celebrated by sikhs were baptised by Guru Gobind Singh, the Sikh’s 10 guru. Sikhs celebrate by religious prayers and by partaking of a vegetarian lunch. Celebrated by Buddhists. This day is the most important day in Buddhist calendar marking the birth, enlightenment and death of Lord buddha. Buddhist devotees will gather in temples throughout the country to release small birds and to offer prayers. Wesak is also an occasion to offer alms to monks. Festival of San Pedro a delightful cultural event where the descendants of early Portuguese settlers celebrate the birthday of the patron saint of fisherman, St. Pedro. The fishing boats which are colourfully decorated for the festivals are blessed and prayers offered for a better season. Kuala Lumpur, the Garden City blooms even lovelier during this week. There will be flora hunts, flower sales, exhibitions of Malaysia’s diverse flora at public gardens, and hotel lobbies. Shopping complexes will also be attractively-displayed with floral arrangements. This week culminates in a spectacular international Floral Parade. For two weeks, all the major hotels and shopping complexes join forces to feature the culture, cuisine and handicraft of the various states in Malaysia. Perayaan ini dirayakan oleh masyarakat Cina pada hari ke-15 of the eight lunar month. Keistimewaan utama pada bulan hari ini ditandakan dengan mooncake and lanters. It was on this night in ancient china that the Hans overthrew the Mongols. Night celebrations see the making of sacrificial on open-air and lantern parades by children. Bargains galore at shopping establishments in Kuala Lumpur, Johor Bahru and Penang during this annual two weeks shopping extravaganza. Deepavali is also known as the Festival of lights. Deepavali is celebrated by Hindus to commemorate the triumph of Lord Krishna over the forces of evil led by Nargansuran. During this festival, Hindu homes are emblazoned with lights to symbolize this triumph. Christmas is celebrated by Christians similar to any other part of the world. Midnight services are held at churches on Christmas eve. Shopping centres, hotels, oldfolks homes and children’s home echo with beautiful carols. The revelry and yuletide spirit of Christmas is enjoyed by Christians and non-Christians.